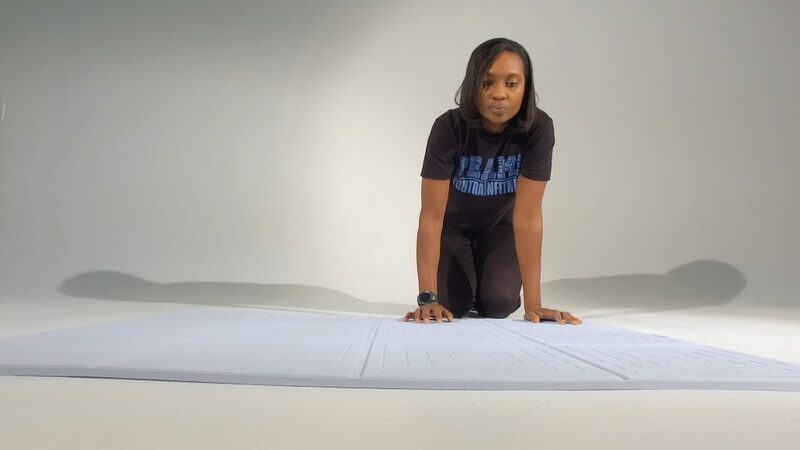 Our PEAMS® was designed to do the following: 1. help make the push-up assessment more reliable (studies have shown that hand-width position can affect pushup performance score and should be controlled for the most accurate result) and 2. help participants improve their push-up performance score. Our PEAMS® will provide the durability and comfort that’s needed to assist test participants to do their best on assessment day as well as help test officials feel confident that each person is being tested in their proper hand-width position (improving the test's objectivity) based on your agency's requirements. 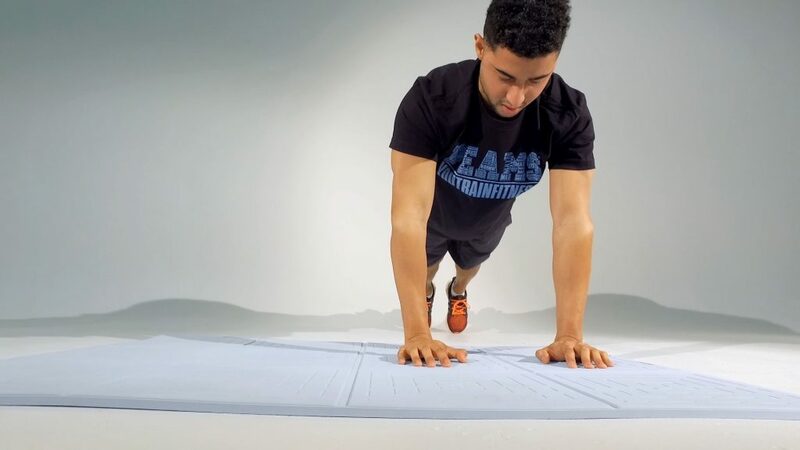 Our PEAMS® is a perfect addition to help improve the push-up test portion of the Fitnessgram by helping students to learn how to place their hands properly on the mat when performing the push-up. The mat may also be used to help students practice for the push-up test during physical education classes year long. Persons who are blind or visually impaired are often overlooked when the topic of physical exercise arises. Sometimes it’s out of concern for their personal safety and other times it’s the lack of awareness of the possibilities of equipment that’s available for their use. Our PEAMS® allows for participants to position their hands in the proper push-up hand-width position with the mat's tactile properties. For organizations that administer the push-up test we guarantee that our PEAMS® will help to improve your push-up test process. For persons who want to improve their push-up test score, you will also benefit from our patented system to help improve your pushup performance. Persons who are blind or visually impaired now have an additional piece of equipment to assist with improving their fitness.